Free diving is a water sport that requires an immense amount of concentration and physical prowess. Think scuba diving – but without all the equipment. No oxygen tanks, no weight belt – just you, your lungs, and the marine life. There are many physical benefits to the sport, including toning your muscles and strengthening your lungs, but some of the greatest experiences in free diving are conquering the challenges you face and the unique underwater view. 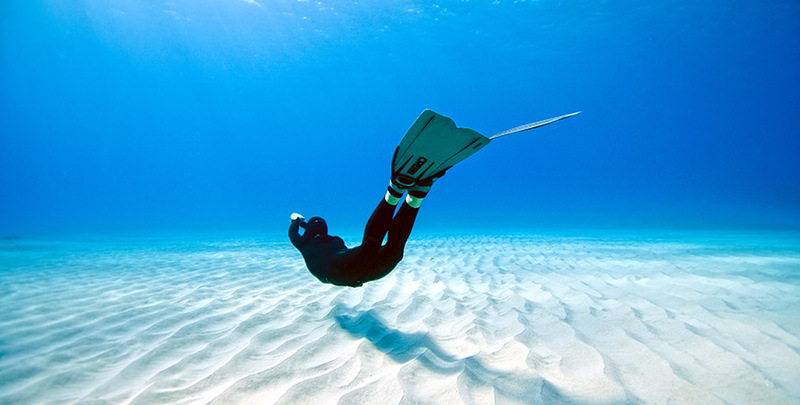 Relieves stress– Ore-diving techniques is very much like yoga, as it puts you in a calm and relaxed mood while still working your body. For the few moments that free divers are underwater they are relieved of all other stress factors. If you’re free diving in the ocean, being surrounded by sea creatures is not only a beautiful sight to behold but also an eye-opening experience. In fact, a 2013 found that free divers had reduced levels of stressand anxiety when compared to non-athletes. Boosts adrenaline – If you’re an adventure-seeker, you will definitely get your fix in free diving. In fact, one study has shown that free divers have increase levels of adrenalineeven after free diving, giving providing them with a feel-good rush.